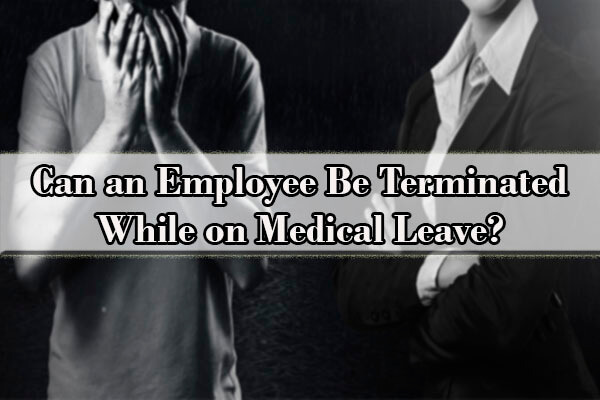 Can an employee be terminated while on medical leave? Can you be fired while collecting short-term disability benefits? Can you lose your job for being sick? 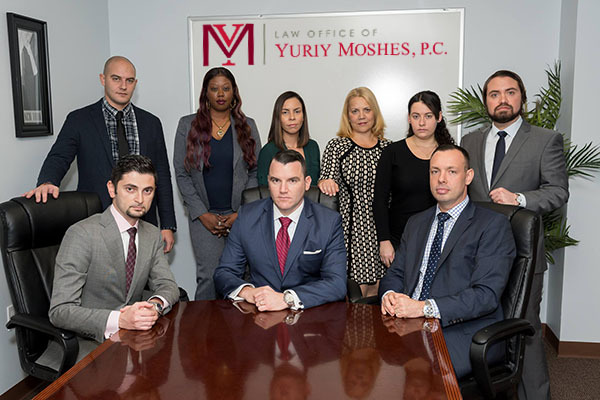 At the Law Office of Yuriy Moshes, P.C., our experienced attorneys can help you navigate complicated employment laws to figure out if you were unlawfully terminated. What federal employment laws govern medical leaves of absence? The federal laws that govern medical leaves of absence are the Family and Medical Leave Act (“FMLA”) and the Americans with Disabilities Act (“ADA”). Can you be fired for getting sick? Unless otherwise agreed upon, all employees in New York are at-will employees, meaning that an employer can fire an employee at any time and for any reason, as long as it is not for a specifically enumerated illegal reason, such as due to a disability or for taking a protected medical leave of absence. Can an employee be terminated while on medical leave under the FMLA? It depends. An employee is eligible for FMLA leave if he or she has worked for the employer for at least 12 months and has worked at least 1,250 hours over the past 12 months. The FMLA applies to various employers including public agencies as well as any company that employs 50 or more employees within a 75-mile radius. The FMLA provides eligible employees with up to 12 weeks of unpaid, job-protected leave each year for, amongst other reasons, the employee’s serious health condition that renders him/her unable to work. It also requires that qualifying employees’ group health benefits be maintained during the leave period. If an employee returns to work following FMLA leave, the employer is generally required to restore them to the same position the employee held before his/her leave commenced (or a nearly identical job with equivalent benefits, pay, and conditions). If an employee takes more leave than allowed under the law (12 weeks), the employee can legally be fired. Although the FMLA is “job-protected,” you can nonetheless be terminated while on FMLA leave if the reason is not related to the leave. Thus, while it is possible to be terminated while out on FMLA leave, an employee cannot be terminated because of the FMLA leave or because of the underlying disability. For example, an employee can be fired while out on medical leave due to some other reason, such as a reorganization or for performance-related issues unrelated to the leave. The employer would have to show that the employee would have been terminated regardless of the medical leave. However, if the employee did not comply with the law and/or company policy about taking leave, such as not providing notice of leave (and instead simply not showing up to work), that behavior itself may provide a good basis for termination. Can a disabled employee be terminated? What does the ADA say? The ADA makes it illegal to fire an employee simply because that employee is disabled. The ADA does not allow companies with 15 or more employees to discriminate on the basis of a disability or perceived disability. The ADA defines a disability as a physical or mental impairment that substantially limits one or more major life activities. The term also applies to any employee who is regarded by his or her employer as disabled, even if the employee does not actually fit the definition. The law applies to both full-time and part-time employees. The ADA requires that employers provide reasonable accommodations to disabled employees. An accommodation is an adjustment to the workplace that allows a disabled employee to perform his or her job. Courts have found that a short medical leave of absence can constitute a reasonable accommodation. Whether the leave of absence accommodation is reasonable, however, depends on the degree to which the leave of absence would disrupt the employer’s operation or result in unreasonable cost. Unfortunately, too often employers deny employees with disabilities their right to these accommodations. If you believe that your employer interfered with your rights by firing you while you were on medical leave, or if you have questions regarding your rights under the FMLA or ADA, you should speak to an employment law attorney. Call the Law Office of Yuriy Moshes for a free consultation right now. Can you be terminated while on short-term disability leave or long-term disability leave? Short-term and long-term disability insurance policies are intended to offer income protection (cash benefits) to people who become unable to work for medical reasons. What surprises many disability recipients is that these policies offer little to no job protection. While it would not necessarily violate any short-term or long-term disability leave laws to terminate an employee while on disability leave, in many cases, the employee might still have claims for wrongful termination under the FMLA or ADA. Therefore, employees on disability leave can’t be fired if the leave also qualifies as protected leave under the FMLA or as a reasonable accommodation under the ADA. For example, if you attempt to return to your position after an approved FMLA leave and your employer informs you that your job duties have been delegated to other employees and your job is no longer available, you may have a claim under the FMLA for wrongful termination and unlawful interference with your FMLA rights. Many employees wonder what will happen to their health insurance coverage if they’re fired from their job. 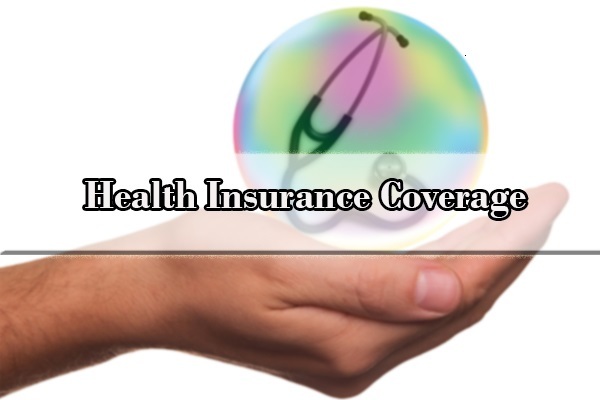 Fortunately, a federal law known as COBRA offers terminated employees the option to maintain health insurance coverage for a limited amount of time as long as they pay the full cost of coverage. COBRA insurance is often expensive, but it is frequently the only viable option for a recently terminated employee. Note that COBRA applies only to employers with 20 or more workers. What should you do if you were terminated while on FMLA leave or while taking a leave of absence as a reasonable accommodation under the ADA? Try to recall all communications between you and your employer both prior to you going out on leave and while you were out on leave. Did your employer ever mention to you that there were issues with your leave of absence or that it was causing the employer an undue burden or hardship? If your supervisor or employer says that the reason for termination was actually the fact that you were on leave or disabled, you should document this and complain about it in writing. The unlawful termination of an employee on medical or disability leave is one of the most complex areas of employment law. In order to increase your chances for recovery, you should get an experienced employment attorney by your side and contact the Law Office of Yuriy Moshes, P.C. Q: Can you be terminated while on short term disability? A: Yes, short-term disability policies do not offer job protection. Q: Can FMLA be extended beyond 12 weeks? A: There is no formal provision in the FMLA for extended leave beyond 12 weeks. However, it is possible for employees to negotiate an extension on a case-by-case basis by discussing their situation with their employer and requesting additional unpaid leave as a reasonable accommodation for a disability. Q: Can I be fired because of a medical condition? A: Generally, no. The law prohibits employers from firing an employee because of a disability or because the employee requires time away from work in connection with a serious health condition. Q: How long does an employer have to hold your job open while on FMLA leave? A: The FMLA provides eligible employees with up to 12 weeks of unpaid, job-protected leave. If an employee returns to work within those 12 weeks, the employer is generally required to restore the employee to the same position the employee held before his/her leave commenced (or a nearly identical job with equivalent benefits, pay, and conditions). If an employee takes more leave than allowed under the law (12 weeks), the employee can legally be fired. Q: Can you be fired while on intermittent FMLA leave? A: The same principles that apply for full FMLA leave apply also to the intermittent leave. This means that you can not be terminated because you took intermittant FMLA leave. Q: How much notice must an employee give before taking FMLA leave? Q: Can FMLA be applied retroactively? A: Yes, an employee and employer may agree to retroactively designate an absence as FMLA-protected. Q: Can I sue my employer if I’m fired for being sick? A: Not necessarily. Unless otherwise agreed upon, all employees in New York are at-will employees, meaning that an employer can fire an employee at any time and for any reason, as long as it is not for a specifically enumerated illegal reason, such as due to a disability or for taking a protected medical leave of absence. Q: Can I collect unemployment if terminated while on disability? A: Yes, you may be eligible for unemployment benefits, but every case is different. Contact an unemployment lawyer to learn your options. Are you denied reinstatement when trying to return from medical leave? Do you feel that you were unlawfully terminated while being on medical or disability leave? Experienced employment lawyers at the Law Office of Yuriy Moshes are here to protect your rights. We work in the greater New York City area including all of the boroughs of New York City (Manhattan, Brooklyn, Queens, the Bronx and Staten Island) as well as Northern New Jersey, upstate New York, and Long Island.